This ESL telling time resource includes a total of 50 cards using the 12 hour clock. 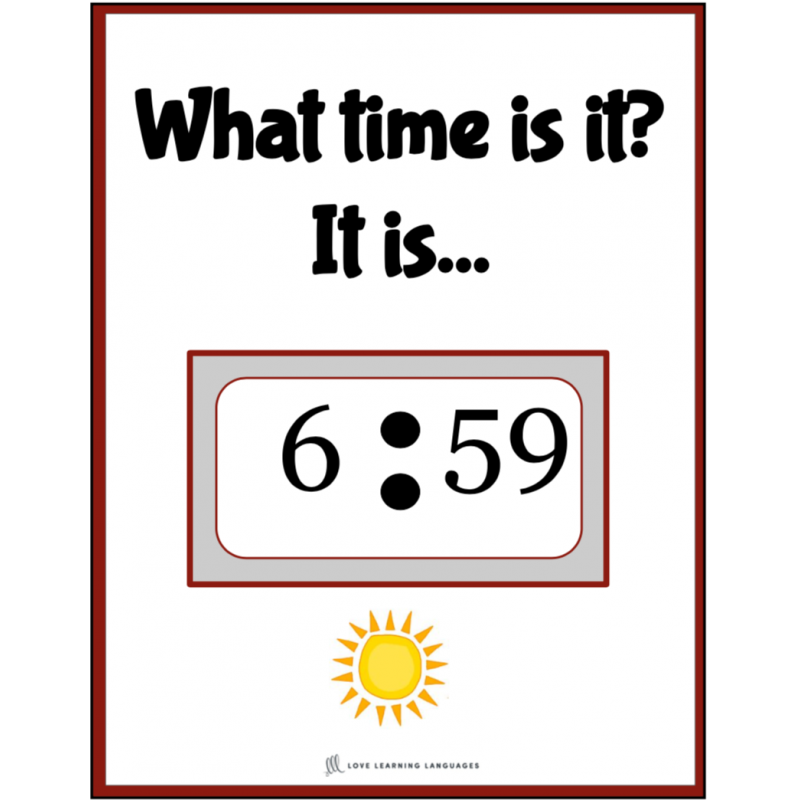 All of the cards feature digital clocks. 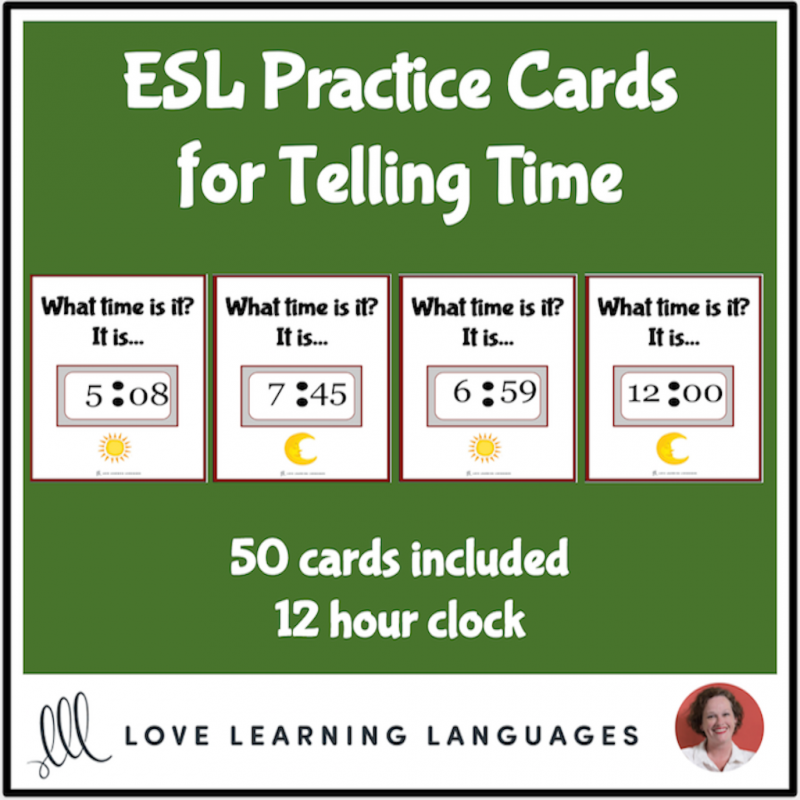 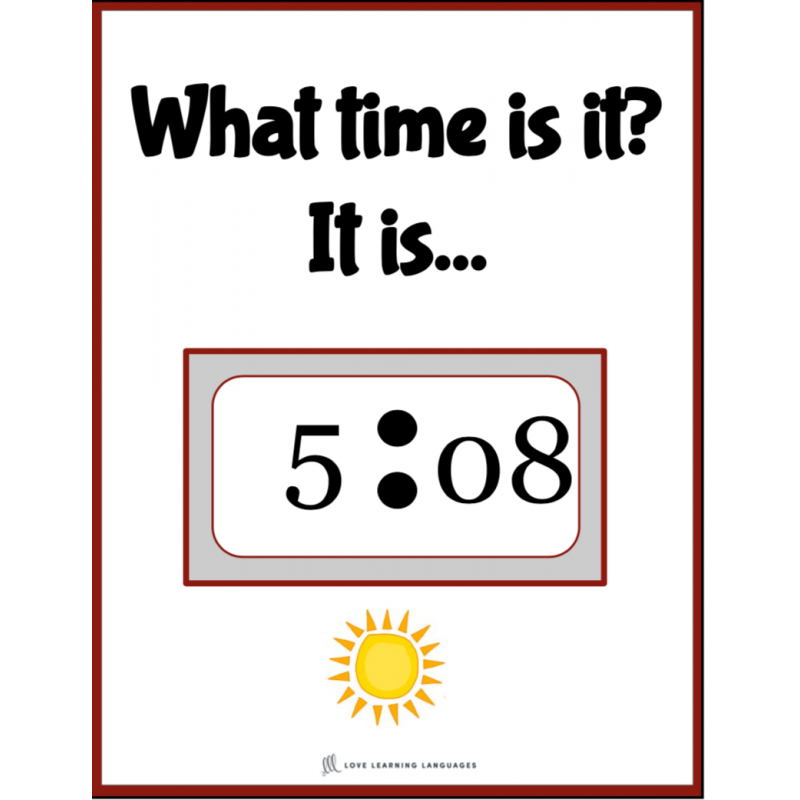 If you print them and cut them out, these cards can be used in small groups or centers for practice telling time in English. 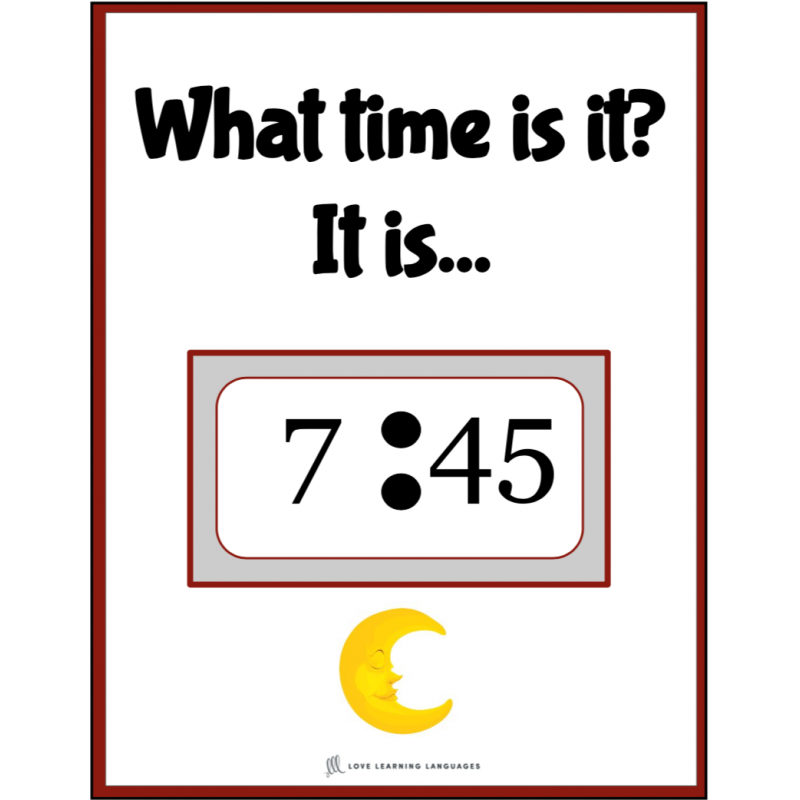 You may also like to use the file with only one card per page to project them for a whole class activity.